Our local cinema, The Apollo, is showing old movies on a Saturday night. It’s great to have a chance to see these films on the big screen, the way they were meant to be seen. Last week we took our seats for Stanley Kubrick’s The Shining, a film that has become so entrenched in it’s own mythos, that when you watch it now, you almost bypass the movie to look for the hidden layers that the internet has brought so sensationally to our attention. Perhaps more than any other film, the Shining lends itself to incredible scrutiny. Every frame of this film has been dissected and examined with the precision of a forensic investigation, and the results are as startling as the film itself. Did Kubrick secretly film the footage of the moon landing, and confess to the deed in this film? The “evidence”, mainly Danny’s jumper and his “take off” on the iconic Overlook Hotel carpet, shaped like a landing pad, is all on screen, and becomes almost distracting on a return viewing. Was Kubrick using the film to bring attention to America’s treatment of Native Americans? Did Kubrick include a scene with a crashed Volkswagen Beetle to upset Stephen King, who did not like the treatment his book was given? These are only a few of the theories behind this masterpiece, and I have no answers to any of them. However, it’s a testament to the production of the film, that 40 years after it’s release, it still incites such debate and controversy. The screening we attended was very busy too, so there’s still an audience for such films, but does it still hold up? Surprisingly, the answer is yes. 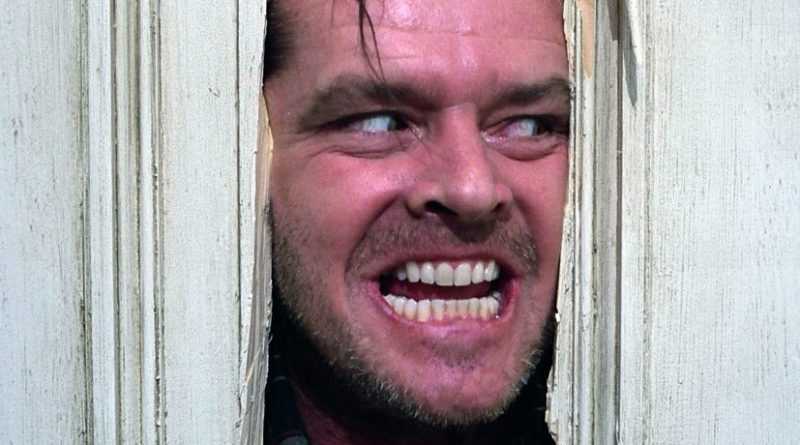 The whole set up of The Shining is a slow dread filled walk through treacle, as we are introduced to Jack Torrance, his wife Wendy and child Danny, travelling to the ominous hotel and finding out that that the resort, built on the remains of an Indian reservation, has a history of evil events and supernatural happenings. On top of that, young Danny has “The Shining”, a telepathic power that allows him to know things he shouldn’t know, with the help of imaginary Tony, “the little boy that lives in his mouth”. As the Torrances move in, Jack, a struggling writer, becomes more and more unsettling. Cut off from the rest of the world by a winter’s storm, Danny begins to see visions of blood filled elevator’s and gruesome murders, while Wendy, played by Shelley Duvall, tries hard to try and make sense of the whole thing. Duvall had a tough time on the shoot, and it shows in her performance. She appears physically and mentally exhausted for much of the film, and to be honest it’s no surprise. 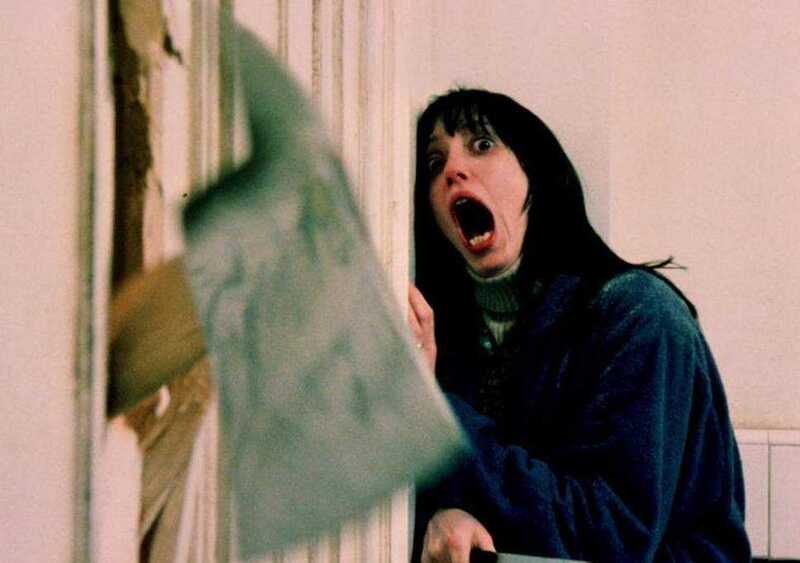 Acting against Nicholson’s manic Jack Torrance must have been a demanding quest, and as he breaks down the bathroom door with an axe, it looks like she is genuinely terrified by what’s occurring. As the third act unfolds, the whole film descends into a nightmare, with ghostly apparitions manifesting themselves, and Jack Torrance going completely insane. The tension ramps up, and even though I know how the film ends, it is still a white knuckle ride to the last scene. When everything is said and done, Kubrick leaves us with even more questions than answers. What, if anything, possesses Jack? What is behind the hauntings? Who exactly is Delbert Grady anyway? Why has Jack always been the caretaker? Kubrick seems to deliberately play with the audience, offering up all the scares you would expect from a horror film, but subverting them at the same time, giving us a feeling of confusion that lingers after the credits roll. For me The Shining is the top of the Kubrick tree, but I know for many others it isn’t. However, a world class director, adapting a Stephen King novel and presenting one of the most talked about films ever made, has to be to something we may never see the likes of again. If it shows at your local cinema, you gotta go. Then watch the documentary called Room 237, and make your own mind up.